When you’re flying in business class cabin with kid(s), make it double. The looks harsher. They fly business class and there is a kid? 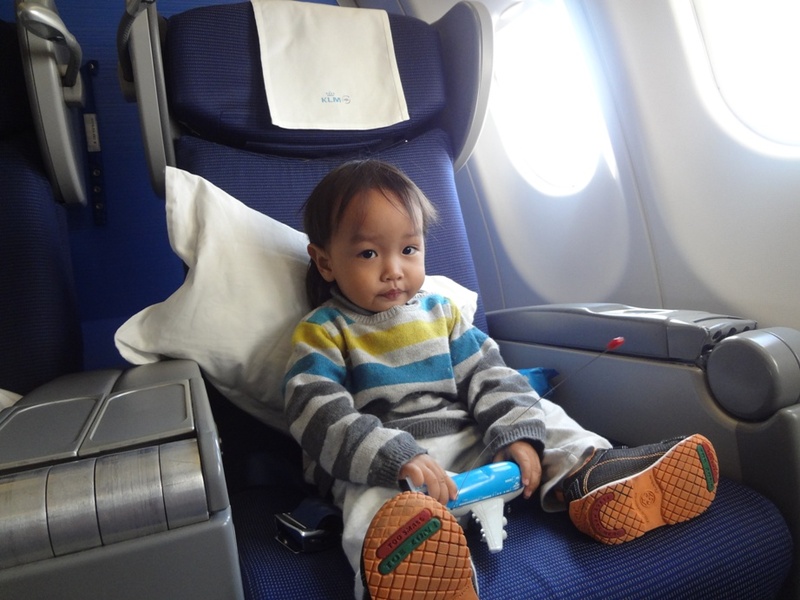 The naughty-looking kid who may cry all flight long. The pressure also gets to you. Particularly when your spouse is somewhere on the back of the plane. No backups. Helpless. I’m not that rich to fly business class out of my pocket. But Puput usually fly business for his official trips. This 3-weeks trip to Norway, the wife and Oliq were in tow. 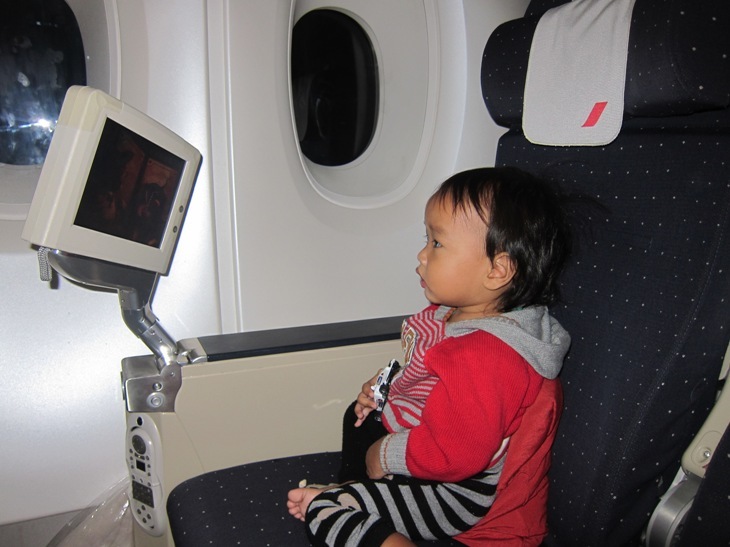 As Oliq was only 21 month old, we bought him business class infant tickets. They were not that expensive as infant do not need seat. I switch my economy seat with Puput. The first trip, on Etihad from Jakarta to Abu Dhabi, the seats arrangement gave more privacy. We were seated by the window. The closes seat to us is across the aisle. Yet again, the man on that seat cast us dirty looks as if Oliq would explode anytime. I understand, they (or their offices) pay a lot of money for the seats and they expect comfort. It sort of gives them the right to ignore “presumed innocent” principle. Oliq slept throughout the flight while Simbok watching Argo. The second lag (actually the third lag because we fly DPS-CGK, CGK-AUH, AUH-AMS, AMS-SVG) of business class was on KLM to Amsterdam. We were, again, seated by the window, with a Dutch gentleman in his 50s next to us. He seems nice, not long after the plane took off, he was asleep. During this flight, only once Oliq woken up and cried. A few seconds of soft cries that successfully make two flight attendants rushly run to bring toys, papers, and coloring pencils. And all he wanted was Pringles. Two of them, and he went back to sleep. Flight attendants seem also on edge when there is a kid on his/her watch. They want to keep the kid happy to make sure that everyone else is also happy. No matter what, flying with babies and toddlers will give extra pressure to the parents. They will do anything to keep the kids happy. All I want to say is, there are things you’d understand only if you are parents yourself. Just be nice, not every baby-on-plane will give you nightmare for the entire flight. Suka tulisan ini. Aku pernah naik pesawat, belakangku anak kecil tantrum dan nendang-nendang kursiku, tapi orang tuanya diem aja, bahkan nggak minta maaf padaku meskipun aku sudah berkali-kali melihat ke belakang.